Kanwal’s Healthy Corner – Mmmm…. Chai! With the weather getting a little chilly, sometimes it’s nice to cozy up to a hot mug of chai. For me, hot chai has fall and winter written all over it! 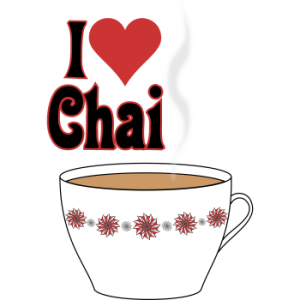 The aromatics and creaminess of the chai will automatically warm you up! I add a little ginger in my chai for a clean ‘kick’ and the cardamom adds a unique sweetness. 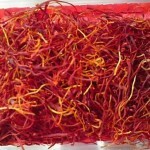 The saffron is that one ingredient that makes you wonder why the chai tastes a bit unique, yet so delicious! I hope you enjoy the recipe below for my chai! Place the water, ginger, cardamom and saffron in a small vessel on medium heat. Allow this to boil until about half cup of water is left. This is when the water will be infused with the ginger, cardamom and saffron flavors. Turn the heat to low and add the tea leaves. Stir for about thirty seconds. Add the milk and bring to a boil. Add sugar if desired. Turn the heat off and strain the tea into a big mug. This entry was posted on Thursday, September 16th, 2010 at 11:27 am and is filed under Uncategorized. I am sure its going to be delicious! Have to try it out while my Kashmiri Saffron lasts .